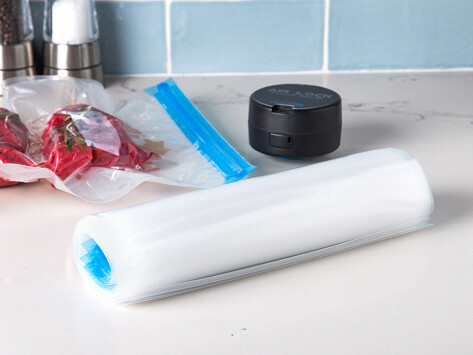 Keep your food fresher longer (about three times as long) with these freezable, reusable, leak-proof bags for your AirLock vacuum sealer. Dimensions: 10" x 13" x 2.5"
Love the portable air sealer! Takes up no counter space and recharges in no time. 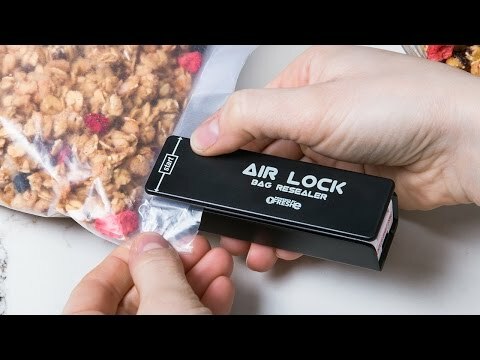 The bags are great and are reusable. Highly recommend. I had 6/13 bags become unsealed. I can't return the bags because I didn't want to carry them with me on my backpacking trip for that long.